Seven acres of award-winning heritage gardens (open to the public) are the crowing feature of Mark and Emma Hewlett's converted Georgian rectory. 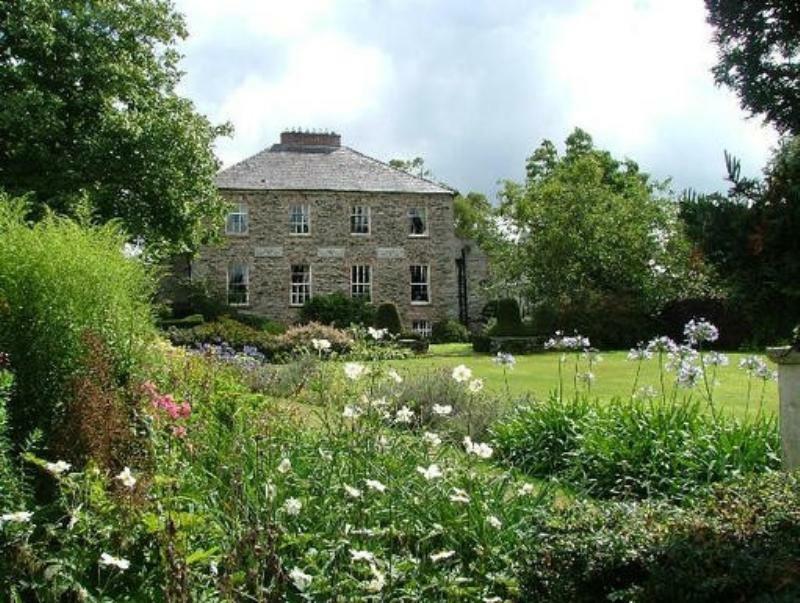 The house nestles on the banks of the River Barrow and is one of Wexford's most magical retreats. A thriving organic vegetable garden provides ample seasonal produce for the kitchen, where the bountiful harvest is put to good use. Diners can sample the results of her culinary endeavours in the charming Peacock Room overlooking the grounds. Dinner might begin with organic leek and potato soup or baked spinach in filo pastry with a trio of cheeses and turmeric cream, ahead of local free-range chicken breast stuffed with black pudding or pan-fried trout with tomato and ginger sauce. To conclude, there are homely desserts such as deep-filled apple and berry crumble. Informal lunches are available in the spacious Georgian Tea Rooms and the conservatory Pink Tea Cup Cafe.